A never-fail style gets the special treatment with a smattering of radiant gemstones! 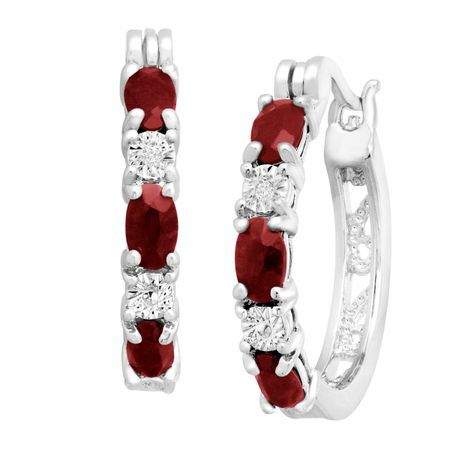 Trios of oval-cut natural garnets totaling 1 1/2 ct are joined with diamond accents in a set of hoop earrings crafted in platinum over brass. Pieces measure 7/8 inches in diameter and feature hinge with notched post back findings.